The monotown, or ‘town-forming enterprise’, was, and remains a key organisation of urban space in the former Soviet Union. Bound up with such a specifically socialist-conception of space is a host of social and cultural signifiers relating to class, kinship, social networks, local identity, and more. These places were large - like Tolyatti, the Soviet Detroit - and small - like Izluchino, the town of cement works, brick kilns and gravel pits in Kaluga region which I’ve been visiting every year since 1998 and in which I have been conducting ethnography since 2009. At first nothing more than appendages of industry-led massive and rapid urbanisation after WWII, they grew into communities, in their own right, of blue-collar workers and their families – tied together by employment in a single enterprise and linked to the enterprise by not inconsiderable social benefits and wages. Despite making up 25% of urban space in today’s Russia, and 20-30% of GDP[i], political economists of post-socialism have largely written off these towns as hopeless relics of the Soviet urban planning that made no allowance for organic development or human habitability. In a vision of globalisation that sees Russia as a square peg to be rammed into the round hole of the global economy, these so-called ‘marginal’ spaces have no role to play, Eurasia having been re-imagined, from the 1990s into the present, as a vast experiment in unbridled neo-liberal economic reform. To the elite Russian academics living in Moscow and Saint Petersburg, they are an amorphous and frankly scary ‘second Russia’. 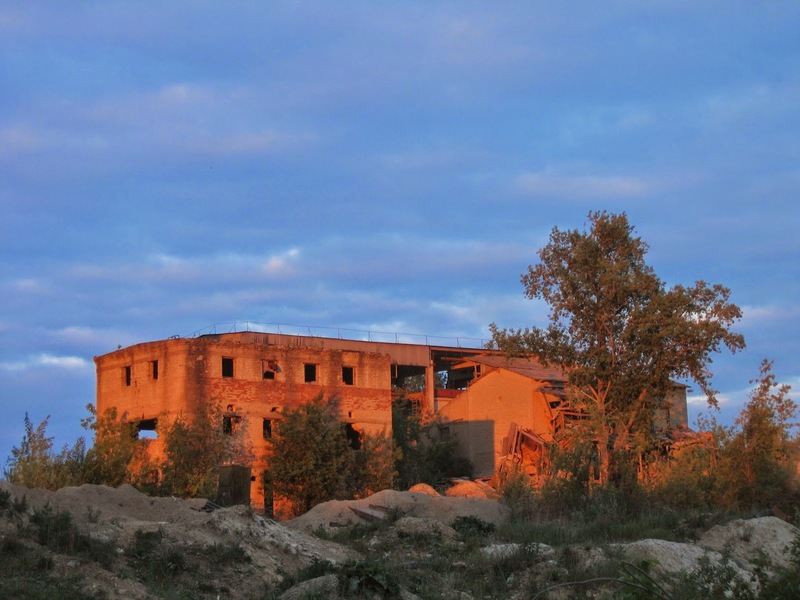 Historians have at least attempted to describe the variegated nature of life and culture in the ‘magnetic mountains’ of the Soviet industrial hinterland. However, despite partial de-industrialisation, these places retain the bustling, if decrepit air of the blue overall-clad manual worker: the archetypical breadwinner of the Russian nuclear family, at first glance little changed from the Soviet era. Sociologists of Eastern Europe have given a good account of the institutional changes in industrial towns and enterprises, and ethnographers (Kay, Humphrey, Patico, Caldwell, Dunn, Pilkington, among others) have provided an equally important picture of post-Soviet actually-lived experience (although much of their research is based on 1990s fieldwork). Few scholars have undertaken longitudinal and in-depth studies of urban space, culture and identity among ordinary people a generation after 1989-91– Kideckel being the notable exception, with his work on Romanian miners[ii]. A major issue in the study of post-socialist spaces is the way that social sciences and cultural and Slavic studies tend to ‘talk past’ each other; my aim has therefore been to combine culturalist perspectives on Russian communities with new working-class[iii] labour studies and social network approaches. So what fruit has this work in my little monotown borne? There are plenty of younger workers there, in the ‘inheritor’ workshops from the Soviet period. Similarly, while many young people travel to Kaluga to work at the new Volkswagen plant or to the Samsung monitor assembly - the latter an hour towards Moscow - some remain in the cement works, the quarries, the limekilns and the brickworks – the choice is not an easy one to make. But these are hardly ‘leftovers’ - or as Elena Trubina once paraphrased Swyngedouw while writing about Perm[iv] - ‘the worthless dowry’ of Soviet Industrial Modernity. My town has grown considerably since 1995, helped, of course, by its proximity to Moscow. And indeed, local people can switch in an instant from a very Russian tale of woe to a grudging acknowledgement of the town’s relative emergence from the turbulent 1990s; given some additional prodding, the same individuals will then shift their tone and tack once again. What slowly emerges is not a fierce local pride, but rather an expression of local here-and-now well-enough-being; a common refrain is that while people don’t have everything they want or need, they have ‘enough’ – ‘u nas khvataet’. In some cases this means as ‘little’ as four hundred Euros and month and thirty square metres for a family of four. In other cases, despite the monetization of benefits, it means an acknowledgement that the state at least pays something to the disabled, to pensioners, to families. What is most important, however, is the personal and particularistic experience of making the town a ‘habitable’, livable place. People seek meaning in the relative absence of the insecurity so characteristic of the nineties; or if their lives continue to be marked by insecurity (especially since the global financial crisis), they look forward and back in quiet desperation to ‘better’ times, in a psycho-cultural self-positioning of perpetual interstitiality. 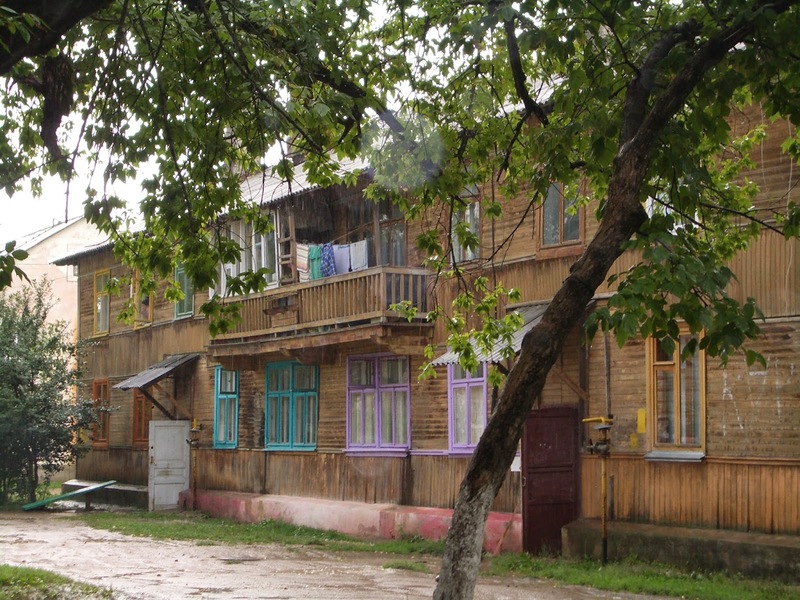 Regardless, or perhaps, because of the recent experience of historical crisis, the meagre and modest ‘habitability’ for small town Russians is at the heart of understanding everyday interpretations in my ethnographic work. This sense of ordinary Russians getting on with things and putting up with their lot gave me pause for reflection on the Ukrainian political crisis and the various readings of Vladimir Putin’s recent actions. My work is by no means about politics in Russia, but it struck me that Russians’ infinite capacity to ‘put up with things’ can help explain the limited impact of sanctions of whatever kind. It was recently put to me by a Russian journalist in exile that most Russians still had no real means or desire to travel to the West, no need for credit card services from Mastercard or Visa, and could return to their potato plots at the merest hint of more serious economic measures. The journalist was pessimistic: ‘after all’, he said, ‘autarky and self-sufficiency are genetically imprinted in the Russian soul.’ I couldn’t help think of my informants and their sense of ‘having enough’, even as they continue, as inhabitants of the global north, to have so very little. [i] A.N. Maslova, (2009) ‘Osobennosti vkliucheniia gradobrazuiushchikh predpriiatii Rossii v global’nyi ekonomicheskii obmen’, Sotsiologiia i sotsial’naia rabota, 1(13), pp. 30-34. [ii] David Kideckel, (2008) Getting by in Postsocialist Romania: Labor, the Body, and Working-class Culture (New Anthropologies of Europe). Indiana University Press. [iii] Tim Strangleman (2008) ‘Sociology, Social Class and New Working Class Studies’,.Antipode 40(1): 15-19. [iv] Elena Trubina, (2013) ‘Primiriaias’ s upadkom: ruiny 2.0’, Neprikosnovennyi zapas, 3(89).